To launch the BubbleBall brand on a $5,000 start-up budget and gain media attention and public awareness about a new sports product. A 3-week long Twitter sweepstakes as part of a summer launch campaign. The prize for entering the sweepstakes was a BubbleBall Starter Kit retailing at $3,000. 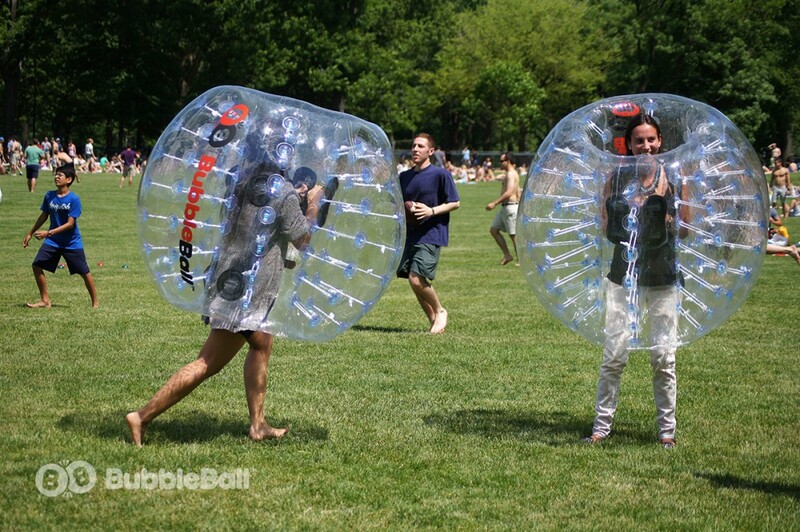 Participants were required to re-tweet a specific tweet that BubbleBall published on Twitter. The sweepstakes were released in conjunction with the 2014 World Cup and BubbleBall’s first press release, which was syndicated on PR Web, as well as manually distributed across news and media outlets across the country. The sweepstakes were marketed on social media channels (engaging fans in World Cup related conversation), and through 3 email blasts to Bubbleball’s mailing list subscribers. Facebook advertising also targeted New Yorkers to sign up for the brand’s NYC league. Photography, graphics, and videos were created to visually support the campaign.